Wayne Dolcefino is one of the nation’s most decorated journalists. Thirty Emmy Awards from the National Academy of Television Arts and Sciences, Five Charles Green Awards, an Edward R. Murrow award, a Jack Howard Award for investigative reporting, numerous honors from the Associated Press and Texas Association of Broadcasters, and an unprecedented three medals from the international journalism organization Investigative Reporters and Editors. For nearly 27 years Dolcefino headed up the 13 Undercover Unit at KTRK TV. This investigative unit specialized in exposing public corruption, wasted taxpayer money, government malfeasance and fraud. 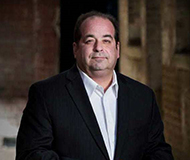 As head of the unit, Dolcefino managed the investigative process, and was involved in the marketing and advertising of KTRK TV’s investigative news product. Between 1979 and 1985 Dolcefino was an investigative reporter and radio talk show host at KTRH Radio. Prior to that he worked at KLBJ Radio in Austin, Texas. In December 2012 Dolcefino created Dolcefino Consulting. This firm consults on crisis management, ethics reviews , informational marketing and media relations and provides production , investigative services and expert testimony in litigation. Dolcefino has significant experience in courtroom litigation relating to first amendment issues. In early 2013 the Association for Certified Fraud Examiners gave Dolcefino the Fraud Impact of the Year Award for his painstaking investigation of a lawman’s charity. Register today! We look forward to seeing you!